Firstly, I know, I know there has been a lot of garden related posts likely. However, with Spring finally here, I cannot help but be inspired to get into the garden. If you are not green fingered I know the thought of gardening won't appeal to you. However, have you thought about getting fake grass? artificial grass has come a long way from the bright green rough turf that we know. Plus there's now an artificial grass to suit all budgets. 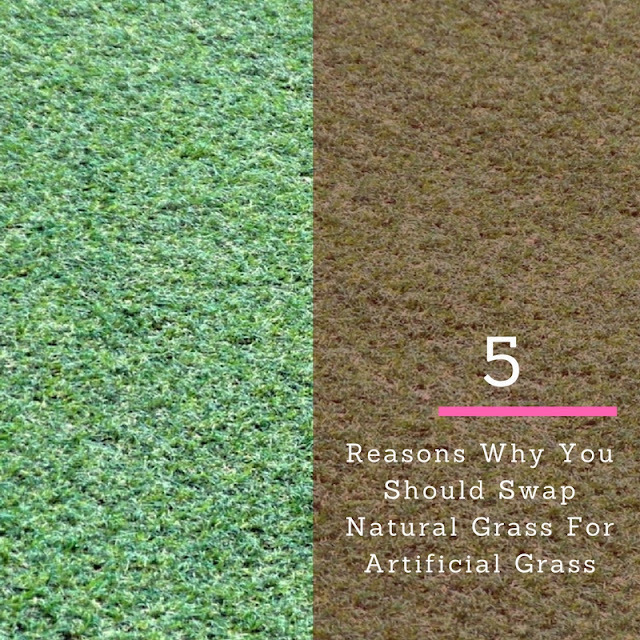 Today I am sharing with you some reasons why you should swap your lawn for the fake stuff. It saves water, with the amount of water it takes to maintain a lawn, replacing natural grass with artificial is one way to cut water usage. It will save you time, Don't get me wrong natural grass is beautiful. But the up keep doesn't come easy. You have to set aside time to mow and fertilise the grass. With fake grass you no longer have to mow and you can leave your lawnmower back in the shed. It will save you money, no longer will you have to buy fertiliser which means not only will you be saving money, you will be able to spend more time in your garden relaxing and enjoying the weather and your brand new artificial turf instead. It is child friendly, your children can play until their hearts content and you can be safe in the knowledge that your grass isn’t going to suffer unsightly muddy patches, and they will not come back inside covered in mud all over your carpets or flooring. It's hard-wearing, fake grass is very durable and can withstand a lot. In addition your lawn will always look it's best at all times no matter what the weather or activities you do on it. Most importantly, you will have lush green grass 365 days of the year. 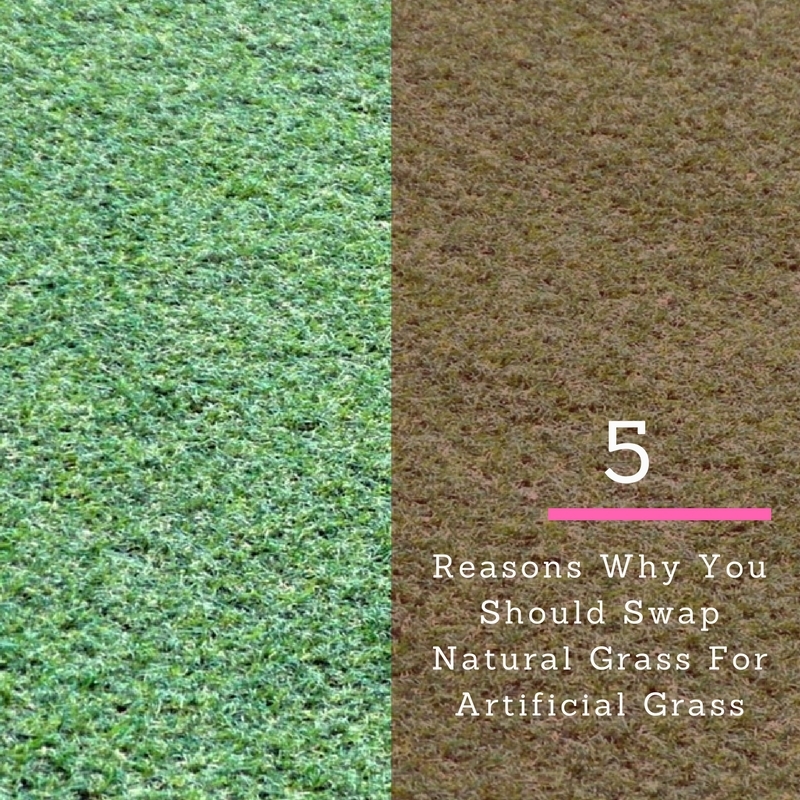 So those where my 5 reasons why you should swap natural grass for artifical grass. Do you have fake grass in your garden?